*Higher Education students are those students studying at Level 5 and above. Rates are available Monday - Friday only for UK and international schools. However, for weekend requests please contact Supporter Services on 0344 225 1826. To ensure good supervision of groups at all times, one adult is admitted free for every 6 paying primary pupils or every 10 paying secondary/post-16 pupils. Any adults above this ratio are required to pay the admission price. As a condition of the reduced costs for school visits, teachers and additional adults must supervise their groups at all times during their visit. A list of behaviour guidelines to share with your students is available the pre-visit information webpage. If you have any questions, please telephone Supporter Services on 0344 967 0831 or email schools@zsl.org. Payment for an education visit can be made by in advance by credit card, cheque or BACs, or on the day by credit card, cash or cheque. If payment is not received by the date of your visit, an invoice with a £25 administrative fee will be sent. Education sessions cost £1.50 per student per session and are designed for up to 35 pupils. A minimum payment of £22.50 (15 students) applies for the education sessions. 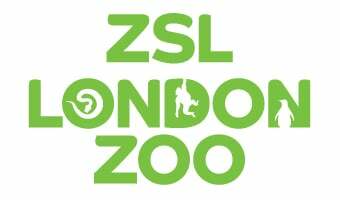 Drop off for minibuses and coaches is available in ZSL’s car park, but regretfully due to third party works we’re unable to offer coach parking. We apologise for any inconvenience this may cause and thank you in advance for your patience. Cars may be charged the regular car parking fee of £14.50. Car park spaces cannot be reserved or guaranteed.